Total Environment is a 15 years old, architect-led development firm building completely furnished and customized homes with a focus on good design and sensitive detailing—something that has won them national and international awards. Moving from a pure play real estate designer to developer was not easy, but now it gets 95 per cent of its revenue from development. Unlike many real estate players, Total Environment is a fully vertically integrated company and handles everything from land purchase to design, conceptualization, construction and finally maintenance on their own. After getting organic growth for about 18 years, the company took a plunge into projects worth Rs. 20,000 Cr. Tech was needed, among other things, to manage this growth, for which they felt the need to bring in a CIO. 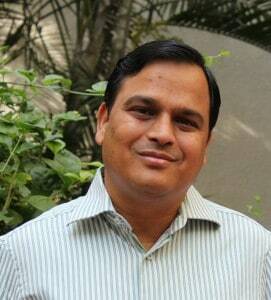 Anil Baradia, who was earlier with Infosys and had done various transformational projects, was brought in for the job. As the company’s customers are elite and tech savvy, it was difficult to do things manually for them, so they automated the customization and selection process of homes, sales agreement and customer engagement. eBuild, an online platform was setup to let customers create their own drawings online, customize their homes, etc. thereby reducing the number of physical architects required. Then, the process of generating agreements and raising invoices for different milestones was made online and automated. For sales, an in-house CRM with mobile and web-based access was built, with opportunity management, leads follow ups, site visits, etc. Several digital transformation initiatives are in works at Total Environment. One is a mobile app to keep customers continuously engaged with regular property updates, invoices, surveys and polls, and even post-handover maintenance, where customers will raise tickets for plumbers, electricians, etc. A building information management system is also planned to share construction drawings on a SharePoint based digital library, another system to automate the procurement process, stores and material management, daily tracking, etc. is also planned. “Our game plan for next two years is to cover the customer and internal ops lifecycles”, said Baradia. The third dimension of the journey is to use IoT for home automation. Baradia is using several new age technologies for the transformation. “I’m probably the first one to put my SAP production systems on AWS”, said Baradia. “We’ve also enhanced our CRM’s functionality through APIs for niche services like bulk mailing, online surveys, etc. We use pluggable items instead of developing our own. The whole architecture is plug and play, with hooks for specific services”, he added. “We look for people with an analytical mindset, have ideas of their own, and are willing to do creation than just delivery”, said Baradia. The company also uses Agile so as to make something small and launch it, collect feedback, and re-launch it iteratively. “You need to be very responsive and have patience as you’ll never get pre-defined requirements”, added Baradia. “The feedback is very positive, and after keeping customers continuously engaged throughout their journey, they feel good about being a part of the journey, and say that they’ve given them a gift!”, added Baradia. 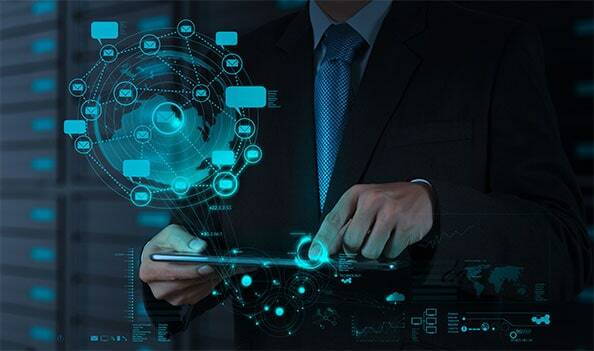 Digital Transformation: How to Make it Happen?